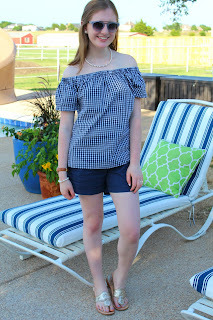 Gingham has been so popular lately and I am loving it! 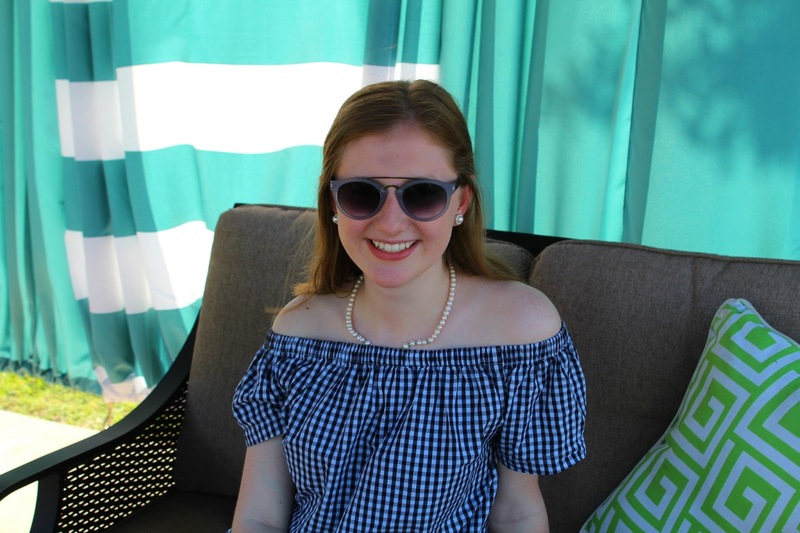 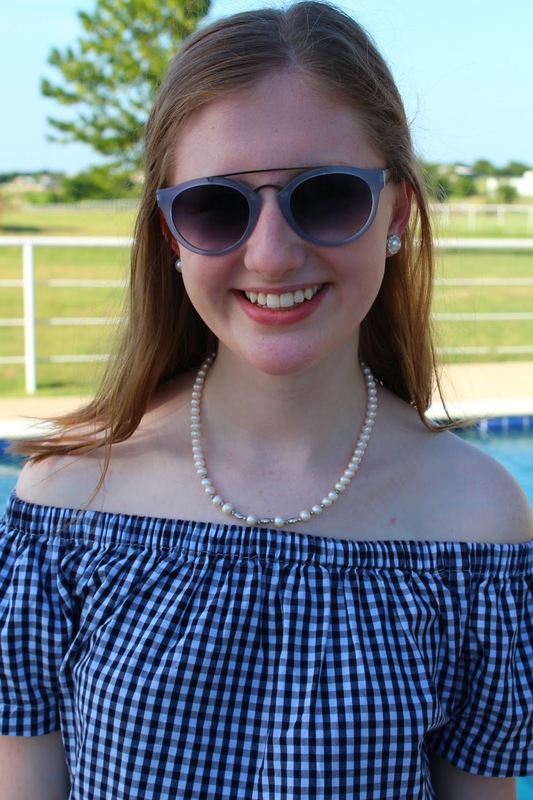 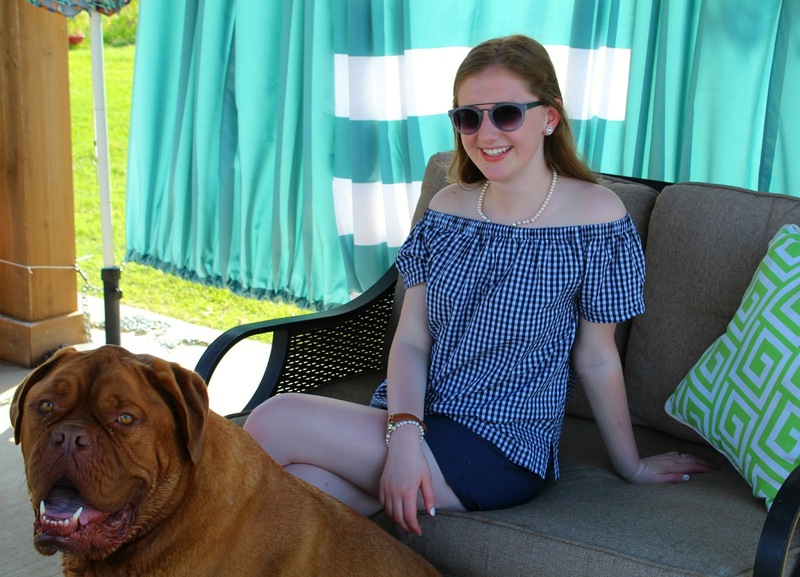 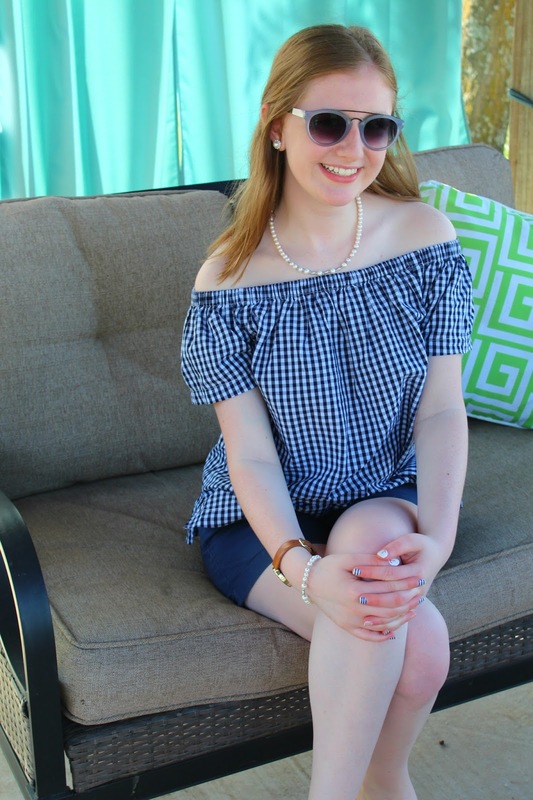 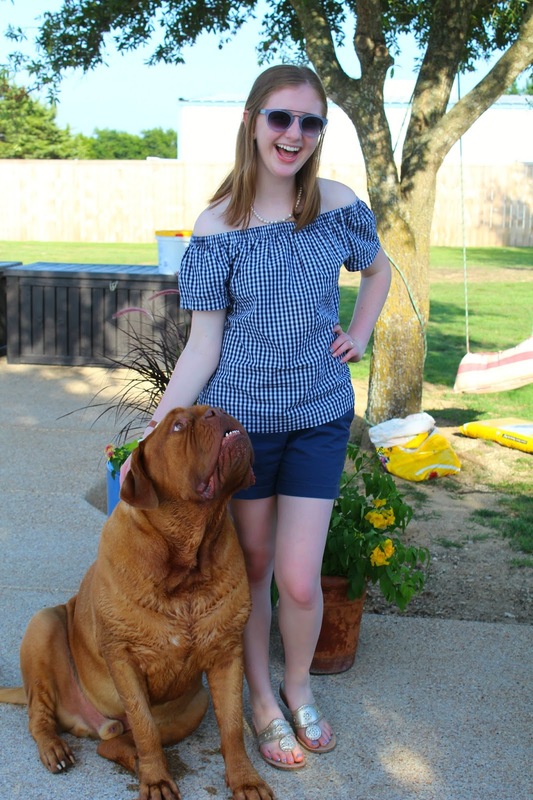 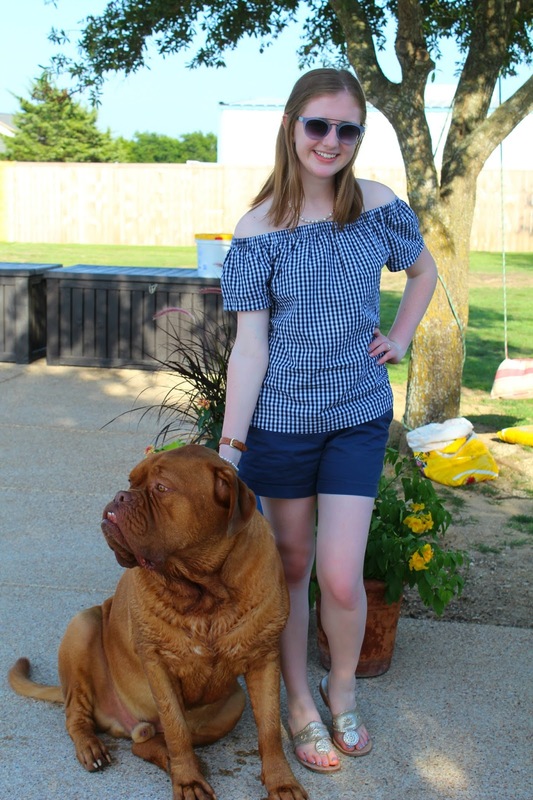 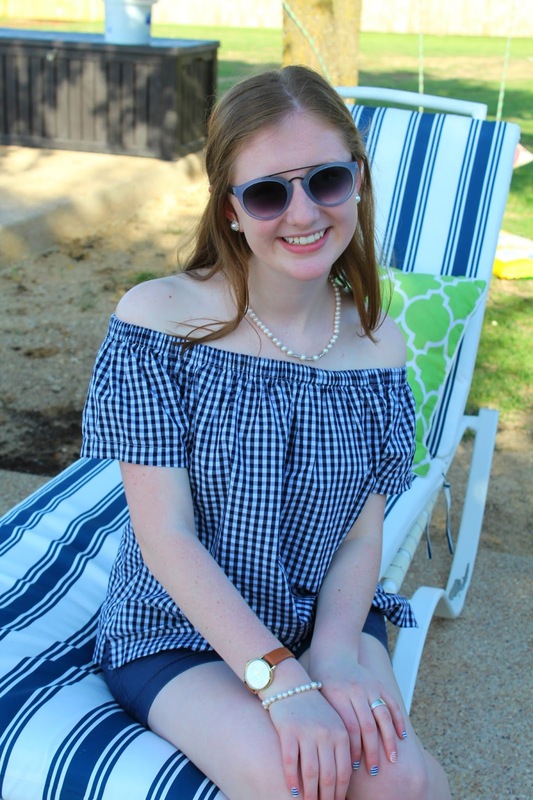 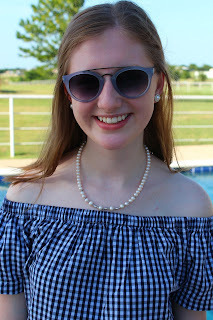 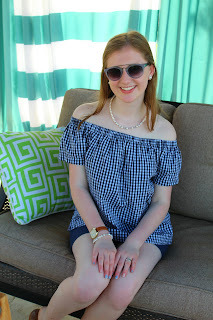 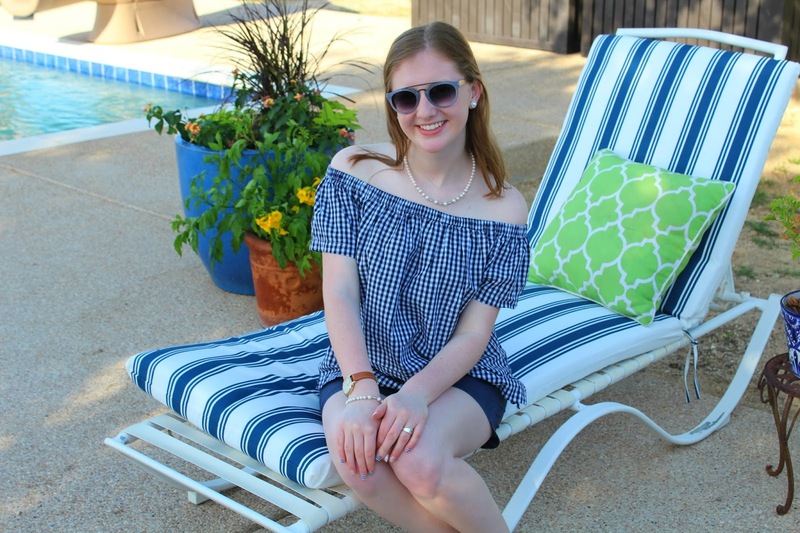 I purchased this off the shoulder gingham top while shopping with my grandma a few weeks back and it is perfect for so many occasions. Today I am sharing one way that I styled it to wear for a day out shopping as well as a friend's outdoor party! 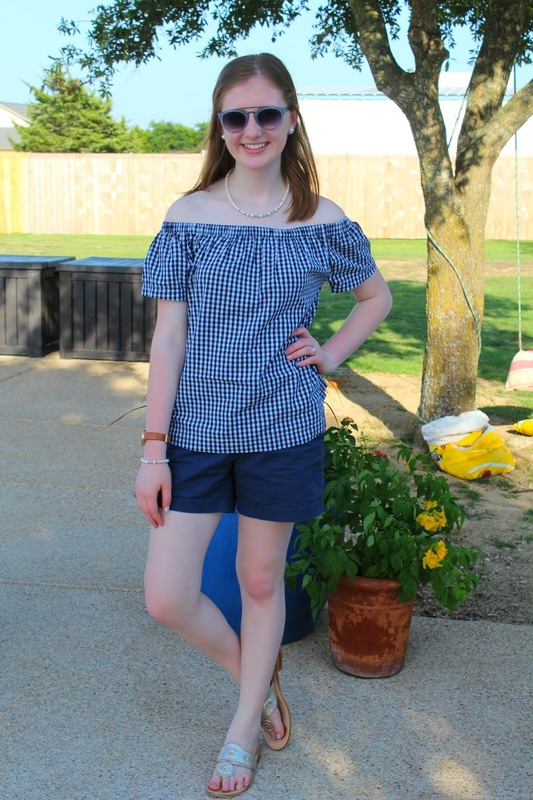 A friend of mine celebrated her sixteenth birthday by having an outdoor concert and this outfit was perfect because it kept me cool and it wasn't too dressed up or casual. Here's an overview of my outfit. 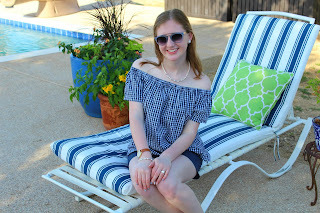 The off the shoulder top is from Marshall's and I got it on sale for $16.99. My shorts are from Old Navy and I purchased them on sale for $16 but they are now on sale for $10! Along with the outfit I wore my platinum Jack Rogers. For jewelry I wore my pearl necklace because I loved how it looked with the neckline of the top as well as my Kate Spade watch and pearl bracelet and earrings. I pulled the front of my hair back with a clip. My dog wanted to join in on my photo shoot and ended up getting in half of my shots. Most of you don't know but this is my dog Tuffy and he is the biggest baby you will ever meet! 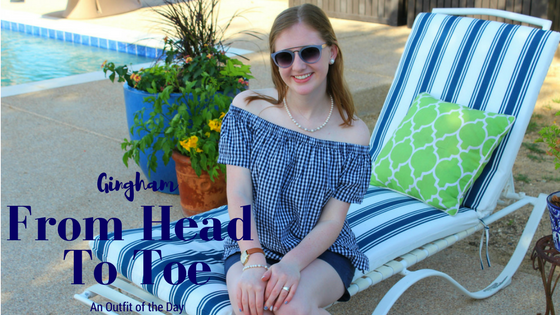 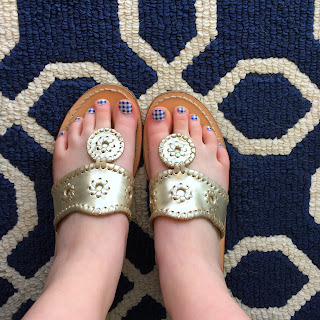 Here's a close up of my gingham toes!